The Albanian mafia or Albanian organized crime (Albanian: Mafia Shqiptare) are the general terms used for criminal organizations based in Albania or composed of ethnic Albanians. Albanian organized crime is active in Europe, North America, South America, and various other parts of the world including the Middle East and Asia. The Albanian Mafia participates in a diverse range of criminal enterprises including trafficking in drugs, arms, humans, and human organs. The Albanian criminal scenario is characterized by diversified criminal plans which, in their complexity, show one of the highest criminal capacities in the world. In Albania alone, there are over 15 mafia families that control organized crime. According to WikiLeaks reports, the Albanian mafia has monopolized various international affiliations from as far east as Israel, to as far west as South America. These reports primarily indicate a strong connection between politicians and various Albanian mafia families. According to the Research Institute for European and American Studies (RIEAS), Albanian mafia groups are hybrid organizations (various sectors of society), often involved in both criminal and political activities. The Albanian Mafia, in its entirety, constitutes one of the highest crime generating elements in the world, combining the "traditional" characteristics – plainly manifest in the rigid internal discipline, in the clan structure, in the "endogamic closure" which increases the impermeability, the reliability and the endogenous solidity – with modern and innovative elements, such as trans-nationality, commercial imprinting and the criminogenous culture of service. The massive logistics to almost anywhere and the syncretic nature of Albanian crime has facilitated its establishment outside the mother country and its integration with the local criminality, exploiting the opportunities inherent in the entire compatriot network. The Albanian mafia has clans throughout the world. In Albania, there are clans that operate in certain towns or cities. Each region is controlled by different mafia families that oversee international operations. In Shkodra, the Xhakja clan is powerful and has an extensive history of criminal family members. Other prominent Albanian mafia families operating in and around Albania include; The Bregus or "Bregu" crime family, run by Armir Bregu, who is serving time in United Kingdom, and the Osmani family, and the "Banda e Lushnjës" whose boss "Aldo Bare" has since been arrested and prosecuted. The Allushi clan is located in the area of Kurcaj, Albania. Allushi clan boss is Nreka Nikprellaj,nicknamed Mladen. His clan has also many criminal connections in Molunat. The Albanian mafia uses the term besa, meaning "trust", as a name for their "code of honor". During the recruitment process a member inducted into the Albanian mafia is required to take an oath. The oath is then considered sacred because it is defined as a Besë. Besa is extremely important in Albanian culture, and is considered a verbal contract of trust. Especially in North Albania, when somebody gives someone their Besë, they have given someone their life and are going to protect someone with their life. The Albanian mafia has extended its activities into China. This after Chinese authorities have uncovered Albanian mafia activity including drug trafficking and prostitution networks. Reports state that the mafia is involved in drug transporting to various Chinese cities. Further, after smuggling the drugs, they are involved in human smuggling of Chinese nationals to Europe. The Israeli government has confirmed its concern that the Albanian mafia has spread its influence in the country's banking system. The Israeli intelligence agency has called for a close cooperation between Israel and Albania to combat money laundering. Justice Ministry General Manager, Dr. Rotkopf Guy noted; "this is an important step in international cooperation between our countries to combat money laundering with the force of law and to deepen relations between Israel and other countries." "European Organised Crime, primarily the Albanian Mafia is now one of the largest organised crime threats to Australia, so entrenched and disciplined and influential in local communities it has made this a serious challenge to crack." The mostly Australian run group, led by former Kings Cross identity Vaso Ulić, a Montenegrin immigrant who left Australia in 2005 never to return, was now networked to become one of the biggest transnational crime groups in the world importing six tonnes a year into Australia alone but many more to and from other destinations from South Africa to Europe, China, Nigeria and the Americas with law enforcers from notably the United Kingdom, United States and Italy involved in their pursuance. Vaso Ulic is a 55-year-old ethnic Montenegrin who migrated to Australia in 1979 and within a few years was working as a small-time foot soldier running drugs and cash along the infamous Golden Mile of Kings Cross but who is now seen as a kingpin of an organisation so big, very few drug consignments enter Australia without his knowledge or permission. The Albanian mafia in France is described as having a monopoly over many criminal transactions including arms and drug trafficking. The Albanian mafia has a strong foothold in France, which is a key strategy as other primary transactions are overseen in neighbouring countries by different mafia families and clans. French media has stated that " In many cities of France, there is a network of the Albanian mafia who are involved in narcotics trafficking and prostitution. It is a highly organized network and is very difficult to find their roots and penetrate it. The geographic vicinity, the accessibility to the E.U. through Italy, and the ties with the Calabrian and Apulia criminality have all contributed to the expansion of the Albanian criminality on the Italian scenario. Further factors relative to the economy have rendered the Albanian criminality even more competitive. In fact, some organizations which reached Italy in the early 1990s, infiltrated the Lombardy narco-traffic network run by the 'ndrangheta. Albanian mafia leaders have reached stable agreements with the Italian criminal organizations, also with the mafia, so have gained legitimacy in many illegal circuits, diversifying their activities to avoid reasons of conflict with similar host structures. So, Albanian drug trafficking has emerged in Apulia, Sicily, Calabria and Campania. Since the beginning of the 1990s, Italy has been clamping down hard on the Sicilian Mafia. According to the deputy director of the Center for Strategic and International Studies (CSIS), at the end of the 1990s the mafia sought to survive this crackdown by forming a "symbiotic" relationship with the Albanian crime families known as fares, who provided the struggling Sicilians a hand in a number of services in their operations across Italy. Today, both Sicilian mafia groups and the 'Ndrangheta are believed to have franchised out prostitution, gambling, and drug dealing in territories along the Adriatic coast to the Albanians. One CSIS report even claimed that this partnership had proved so successful that the Sicilian mafia established a 'headquarters' in Vlorë, a coastal town in southern Albania at the close of the 1990s. The Albanian Mafia seems to have established good working relationships with the Italian Mafia, On 27 July 1999 police in Durrës (Albania), with Italian assistance arrested one of the godfathers of the "Sacra Corona Unita", Puglia's Italian mafia. This Albanian link seems to confirm that the Sacra Corona Unita and the Albanian mafia are "partners" in Puglia/Italy and delegate several criminal activities. Thus, in many areas of Italy, the market for cannabis, prostitution, and smuggling is run mainly by Albanians. Links to Calabria's mafia, the Ndrangheta, exist in Northern Italy. Several key figures of the Albanian mafia seem to reside frequently in the Calabrian towns of Africo, Platì, and Bovalino (Italy), fiefs of the Ndrangheta. Southern Albanian groups also have good relationships with Sicily's Cosa Nostra. Vice squad officers estimate that "Albanians now control more than 75 per cent of the country's brothels and their operations in London's Soho alone are worth more than £15 million a year." They are said to be present in every big city in Britain as well as in many smaller ones including Telford and Lancaster, after having fought off rival criminals in turf wars. Associate groups within the organizations will also hide their criminal activities within restaurants, bars, and clubs in an attempt to remain undercover. Albanian gangsters were also involved in the largest cash robbery in British crime history, the £53 million Securitas heist in 2006. According to the Scottish Crime and Drug Enforcement Agency (SCDEA), Albanian mafia groups have muscled in on the drug and vice trades within the Scottish underworld. The SCDEA notes that Albanian mafia groups have established a foothold in arms and drugs trafficking in Scotland. Albanian mafia in the UK is heavily involved in prostitution and together with Turkish mafia control more than 70% of prostitution market in London. In the last few years Albanian mafia was involved more in drug trafficking (Hellbanianz) than in prostitution and they sold more than 500,000 kilogrammes of drugs in London alone. The Albanian mafia is firmly established in Canadian cities, such as Toronto, Montreal and Vancouver. Albanians are involved in various white collar activities, such as real estate and health care fraud. Furthermore, they are engaged in cross-border activity between the United States and Canada, which includes drug smuggling and money laundering. The Albanian mafia in the United States has been thought to greatly increase their dominant power and is one of the most violent criminal organizations in operation, particularly with their strong connections in the European Union. In early 2012, the White House sanctioned suspected Albanian mafia king pin Naser Kelmendi for drug trafficking. US President Barack Obama notified Congress saying he had sanctioned Kelmendi under the Kingpin Act, implemented by the US Department of Treasury's Office of Foreign Assets Control (OFAC). Kalmendi is suspected of leading one of the strongest ethnic Albanian criminal families in the Balkans, according to the Treasury Department. He has long been suspected of running a large organization that traffics heroin, cocaine and acetic anhydride, a raw material used in the production of heroin, to Europe through the Balkans. The name Rudaj comes from the head of the organization. According to The New York Times published in January 2006, "Beginning in the 1990s, the Corporation, led by a man named Alex Rudaj, established ties with established organized crime figures including members of the Gambino crime family, the authorities say. Then, through negotiations or in armed showdowns, the Albanians struck out on their own, daring to battle the Lucchese and Gambino families for territory in Queens, the Bronx and Westchester County, prosecutors say." Zef Mustafa was an associate to the Gambino family based in New York. He pleaded guilty to money laundering. Xhevdet Lika was an American-Albanian kingpin who was notorious within the New York City criminal underworld. In the book Contract Killer by Hoffman and Headley, it was noted that even though his is not a name of household familiarity in the American upperworld like "Al Capone" or "John Gotti", Xhevedet "Joe" Lika was known in the international underworld. The book also noted; "He didn't like Italians and they left him alone because he was so violent. Like Japanese kamikazes, his heavy hitter mobsters would go after John Gotti, Paul Castellano, or even President Reagan, if Lika gave the word. There was no way to stop people like that, and Mafiosi knew it". Princ Dobroshi is one of the biggest heroin kingpins in Europe. Ismail Lika was, according to the FBI, an Albanian mobster active in New York City in the 1980s. Dubbed the "King of the New York drug underworld", Ismail Lika issued a contract on Rudy Giuliani's prosecutors in 1985. Caught with at least $125 million in heroin, Lika issued a $400,000 contract on the prosecutor Alan Cohen and the detective Jack Delemore, both placed under protective custody. Lul Berisha is the leader of a notorious clan based in Durrës, Albania. Known as "Banda e Lul Berishes", the clan, by its complex structure is engaged in moving drug and arms trafficking and other criminal activities throughout Europe. According to German and Albanian authorities, the clans international drug and arms trafficking spans to Turkey, Bulgaria, Italy, and Germany. Armand Krasniqi is a former Albanian mafia kingpin based in Zagreb, Croatia. According to the Croatian newspaper Jutarnji List, Krasniqi led a powerful mafia clan with international operations. Naser Xhelili was coined by Swedish authorities as the "Albanian Connection" in Sweden. The Xhelili clan operations include drugs and arms trafficking in and around Sweden. Osmani Brothers are, according to the German Federal Intelligence Service (Bundesnachrichtendienst), the "most important figures of organized crime in Hamburg and other cities in Germany". Myfit Dika is a former drug kingpin of the "Balkan Criminal Enterprises"; an international criminal organization which spanned from Canada, the United States, to Europe. Kapllan Murat is Belgium's most notorious mobster. He was one of the masterminds behind the kidnapping of former Belgian Prime Minister Paul Vanden Boeynants in 1989. Three days later, the criminals published a note in the leading Brussels newspaper Le Soir, demanding 30 million Belgian francs in ransom. Boeynants was released physically unharmed a month later, on 13 February, when an undisclosed ransom was paid to the perpetrators. Gjavit Thaqi is the leader of the "Thaci Organization" which is a New York City-based organized crime syndicate. The Thaci Organization controls drug distribution cells in all five boroughs of New York City and Albany. According to the FBI, the Thaci Organization has international operations in Canada, the United States, and Europe. John Alite, also known as "Johnny Alletto" (born September 30, 1962), is a New York City based Albanian mobster. A former member of the Gambino crime family he was a friend and crew leader for John A. Gotti in the 1980s and 1990s. Following extradition from Brazil in 2006, he was convicted in Tampa, Florida of several counts of murder conspiracy, racketeering and other charges stemming from allegedly heading a unit of the Gambino organization in Florida and was sentenced in 2011 to 10 years in prison (of which he had already served six). He was a prosecution witness against former associates, including Gotti and Charles Carneglia, in wide-ranging racketeering trials. While a part of the Gambino organization, because his family is Albanian, not Italian, Alite could not become a made member of the organization. Naser Kelmendi is the leader of a Balkan Criminal Empire, as coined by Bosnian authorities. According to a report presented by Interpol, the Kelmendi crime family heads one of the most powerful organized criminal organizations not only in BiH, but in the whole region. The Kelmendi organization has been involved in drug and cigarette trafficking, money laundering and loan sharking.According to the Interpol report, the organization's influence reaches to Montenegro, Kosovo, Republic of Macedonia, Croatia, Serbia, Germany and the United States. Furthermore, according to the CIA Kalmendi leads one of the strongest ethnic Albanian criminal families in the Balkans. Kelmendi's organization is believed to traffic in cocaine and heroin, as well as acetic anhydride, a basic ingredient in heroin production. Naser Kelmendi was apprehended on May 5, 2013. Elvis Kelmendi has made headlines as a violent drug kingpin and was apprehended in May 2013. Ibrahim Habibovic is the leader of a notorious clan based in Napoli, Italy. Known as "Banda e Belo", the clan, by its complex structure is engaged in moving drug and arms trafficking and other criminal activities throughout Europe. According to Italy and Serbian authorities, the clans international drug and arms trafficking spans to Turkey and M. East. 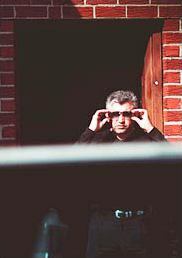 Luan Plakici, the "Vice King" of the Albanian mafia in the UK who was jailed for 10 years (later increased to 23 years) for trafficking women after promising them good jobs. Erkman Rock, the "Kingpin" of New York and New Jersey's Albanian mafia was featured on Americas Most Wanted and apprehended in May 2012. ^ "Tip Of The Iceberg: French Police Arrest Albanian Heroin Traffickers, But Balkan Criminal Gangs Tighten Grip Across Europe". International Business Times. 16 October 2012. Retrieved 26 October 2014. ^ "An introduction to the New York-Albanian mob - Capital New York". Capitalnewyork.com. Retrieved 26 October 2014. ^ "Albanian Criminal Activity". Kosovo.net. Retrieved 26 October 2014. ^ "Shape Of The Albanian Organized Crime". Rieas.gr. 2000-04-13. Retrieved 2012-06-22. ^ "Google Translate". Translate.google.com. Retrieved 26 October 2014. ^ "Albanian Times: Albania confronts its Hatfields and McCoys". 15 February 2013. Archived from the original on 15 February 2013. ^ Hopkins, Nick (1999-09-07). "Albanian mafia targets Britain". The Guardian. London. ^ News, Shkodra (11 November 2016). "Rusët: 5 vitet e fundit, 75% e tregut global te drogës e drejton mafia shqiptare - Shkodra News". ^ "Mafia shqiptare e shtrirë edhe në Kinë". Archived from the original on March 7, 2014. Retrieved March 3, 2014. ^ "Izraeli në alarm, mafia dhe zyrtarë shqiptarë në transaksione e fshehje pasurie – Agjencia Kombëtare e Lajmeve AMA". Ama-news.al. Archived from the original on 2017-02-01. Retrieved 2012-06-22. ^ The Terrorist List [5 volumes]. Books.google.com. Retrieved 26 October 2014. ^ "Albania and Albanians around the world » Blog Archive » ALBANIAN MAFIA HAS DEEP ROOTS IN BELGIUM". Albaniacountry.info. 1999-11-28. Archived from the original on 2012-04-02. Retrieved 2012-06-22. ^ "I - Comment s'implante la mafia albanaise" (PDF). Archived from the original (PDF) on 2014-03-07. Retrieved 2012-06-22. ^ "Franca në alarm nga "mafia shqiptare", autoritetet: Vështirë t'i zbulohen rrënjët – Ora News". Ora News. Retrieved 26 October 2014. ^ a b c d Mrs. Jela Jovanovic, Secretary General (15 August 1999). "[CTRL] Spiegel: Spider's net of the Albanian Mafia in Germany". Mail-archive.com. Retrieved 26 October 2014. ^ "The growing Albanian Mafia: from the risk of area to the great alliaces". Gnosis.aisi.gov.it. Archived from the original on 26 October 2014. Retrieved 26 October 2014. ^ "Mafia International? Organised Crime in Central and Eastern Europe « The View East". Thevieweast.wordpress.com. 2011-10-07. Retrieved 2012-06-22. ^ Laura Delsere (2009-10-20). "Roberto Saviano on the mafia and Eastern Europe". Balcanicaucaso.org. Retrieved 2012-06-22. ^ a b c "Klanet Mafioze Shqiptare". Lindja.hpage.com. Archived from the original on 2012-06-15. Retrieved 2012-06-22. ^ Hall, Allan; Popham, Peter (August 16, 2007). "Mafia war blamed for shooting of six Italian men in Germany". The Independent. London. ^ "Midnight sun has a dark side". Listserv.buffalo.edu. Retrieved 2012-06-22. ^ "Ceuta Nostalgia.- Las Mafias en España" (in Catalan). Usuaris.tinet.cat. 2000-08-20. Retrieved 2012-06-22. ^ a b "Albanian mafia behind Swiss heroin market < Europe < LEARN < Flare Network". Flarenetwork.org. Archived from the original on 2012-07-22. Retrieved 2012-06-22. ^ Aguiar, Shirin. "Focus: Gun Culture: 'My gun drives fear into people - once you got money and a gun, you got power'". The Independent. HighBeam Research. Archived from the original on 2013-01-25. ^ "Albanian gangs control violent vice networks". London: Times Online. 2012-05-29. Retrieved 2012-06-22. ^ "Securitas heist: Five found guilty of Britain's biggest robbery". Daily Mirror. 2006-02-21. Retrieved 2012-06-22. ^ Townsend, Mark. 2019. Kings of cocaine: how the Albanian mafia seized control of the UK drugs trade. The Observer"". 13 Jan.
^ "Powered by Google Docs". Docs.google.com. Retrieved 2012-06-22. ^ "report on organized crime" (PDF). Criminal intelligence Service Canada. Archived from the original (PDF) on 2013-02-06. Retrieved 2012-06-22. ^ "Five Families of New York City: Albanian Mafia fueling Al Qaeda terrorist activity in US: Kosovo schools and orphanages open". Fivefamiliesnyc.blogspot.com. 2010-08-27. Retrieved 2012-06-22. ^ "Mafia shqiptare ne SHBA Me e pasofistikuara por me e dhunshme se italianet e ruset". Shqiperia.com. Retrieved 2012-06-22. ^ "Will the Real Mob Please Stand Up". The New York Times. 2006-03-05. ^ "FBI — Balkan Enterprises". FBI. Archived from the original on 17 October 2014. Retrieved 26 October 2014. ^ "Albanian Mafia : MAFIA TODAY". Mafiatoday.com. Archived from the original on 24 September 2010. Retrieved 26 October 2014. ^ Fahim, Kareem (January 3, 2006). "Beating Them at Their Own Game". New York Times. Retrieved 2012-06-22. ^ "Articles About Albanian By Date - Page 2". Daily News. New York. ^ a b "Albanian Boss: Alex Rudaj - Gangsters Inc". Gangstersinc.ning.com. 2010-11-19. Retrieved 2012-06-22. ^ "ALBANIA 'MAFIA' BROKEN". New York Post. Retrieved 2012-06-22. ^ a b Brendan McGarvey (2002-12-12). "Another group of Eastern-European gunsels makes its mark". Archived from the original on 2009-06-08. ^ landi thotë:. "Ekskluzive/ Mafia shqiptare do pastrojë dhe investojnë paratë e pista në Honduras – Agjencia Kombëtare e Lajmeve AMA". Ama-news.al. Retrieved 2012-06-22. ^ "SHO NUFF MOB STUDY - NOVEMBER 15, 2005". Gangstersinc.tripod.com. Archived from the original on April 24, 2012. Retrieved 2012-06-22. ^ a b "Powered by Google Docs". Docs.google.com. Retrieved 2012-06-22. ^ "Banda e Durrësit: Vendimi i gjyqit, "burg për jetë" për 4 anëtarë". Forumi Shqiptar. Retrieved 2012-06-22. ^ "The Hamburg Express. Local news for an international community. - Offline". Thehamburgexpress.com. Retrieved 2012-06-22. ^ "FBI — International FBI Fugitive Captured in Toronto". Fbi.gov. Retrieved 2012-06-22. ^ "List of kidnappings". Docstoc.com. Archived from the original on 2012-10-12. Retrieved 2012-06-22. ^ "Albania mob busts in area". Times Union. 2011-07-14. Retrieved 2012-06-22. ^ "Balkanblog: Die Super Mafia im Balkan des Naser Kelmendi Clans aus dem Kosovo". Balkan-spezial.blogspot.com. 2009-11-16. Retrieved 2012-06-22. ^ Rubenfeld, Samuel (2012-06-01). "Obama Slaps Sanctions On Alleged International Drug Traffickers - Corruption Currents". Wall Street Journal. Retrieved 2012-06-22. ^ "Reputed Crime 'Kingpin' Arrested In Kosovo". RadioFreeEurope/RadioLiberty. Retrieved 26 October 2014. ^ "Son of Drug Boss Naser Kelmendi Sentenced To Four Years for Attempted Murder - Hetq". Hetq.am. Retrieved 26 October 2014. ^ "Scotland's FBI warns 25 foreign mafia gangs are now at large". Herald Scotland. Retrieved 26 October 2014. ^ "Vice ring boss's jail time doubled". BBC News. 2004-04-29. ^ "'Kingpin' In Albanian Mafia Arrested In Toronto". The Huffington Post. 25 May 2012. Retrieved 26 October 2014. ^ Lubomir Makky, Mark Northrop. "Harabin wins €150,000 after suing general prosecutor". Spectator.sme.sk. Retrieved 26 October 2014. ^ "Redinal Dervishaj Arrested Outside Of Chicago Following Stabbing Death Of Anthony Lacertosa At Lacertosa's Engagement Party On Staten Island". CBS New York. Retrieved 26 October 2014. ^ "FBI — PLAURENT DERVISHAJ". FBI. Retrieved 26 October 2014. ^ "FBI — DUKAGIN NIKOLLAJ". FBI. Retrieved 26 October 2014. Arsovska, Jana (2015). Decoding Albanian Organized Crime: Culture, Politics, and Globalization. University of California Press. p. 312. ISBN 9780520282803.